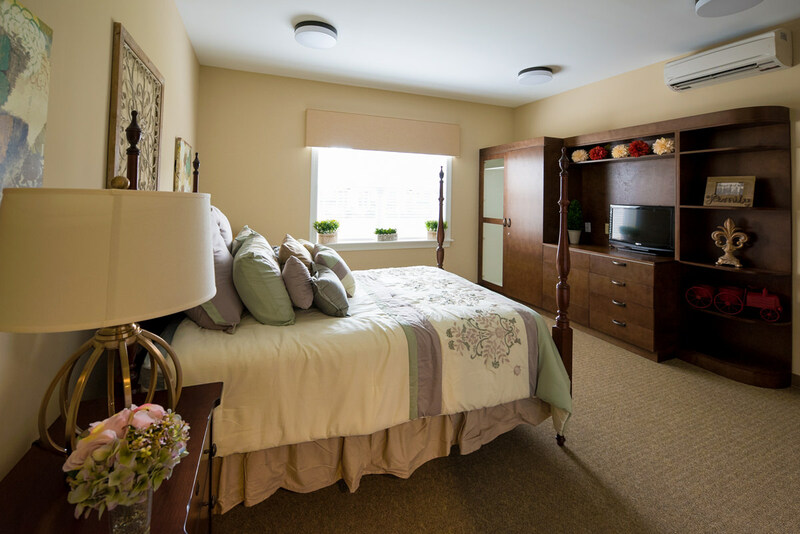 We understand that home is where people want to be when suffering from an illness or injury. For our residents who need help around the house, or for residents who need help recovering, our Home Health Services can provide professional care in the privacy of one’s home or apartment here at The Manor. Residents can request Home Health Services for a little extra help around the house, such as taking out the trash or tidying up, or they can request services for medical needs. A variety of medical services are available based on each person’s needs and condition, such as assistance with activities of daily living, medication management, and more. Our nurses can also conduct regular screenings of blood pressure, temperature and heart rate to monitor overall health. Fees vary based on type and length of treatment. A minimum of two hours a day is required. By providing help where residents have a need, our talented nurses help our Independent Living residents live comfortably and enable them to maintain an independent lifestyle as long as possible, while remaining in the comfort of their own home. We focus on treating each person as a whole being by offering emotional, social, and physical support with the appropriate level of care. By doing so, our capable nursing staff helps our home health residents live comfortably and regain their health and independence while remaining in the comfort of their own home. If you or a loved one are a resident of The Manor and need Home Health Services, please contact our office to schedule services and get on the path to recovery!